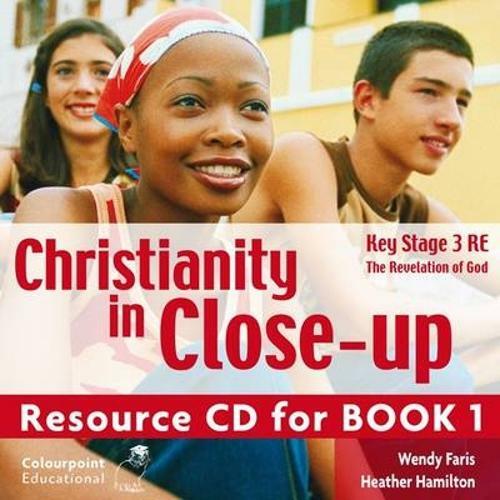 Resource CD designed to accompany the textbook "Christianity in Close-up Book 1 - The Revelation of God" with ISBN 9781904242758. Main features: >CD-ROM of printable activity sheets and teacher resources [PDF format]. >Activities link with sections of the textbook, extending learning >Icons in the textbook and on activity sheets to indicate links >Development of Skills and Capabilities, and Learning for Life and Work strands. The activity sheets can be printed out in the necessary numbers and distributed to the class. There are also sheets specifically for teachers, which explain and provide resources for a variety of additional practical activities. The price of this will get you one CD with a license to use the resource in a single school or institution. Teachers will require software capable of reading PDF files. Most computers purchased in the past few years will have this software already installed. However the free Acrobat Reader software is available from the Adobe web site for those who do not.